Norfolk - Monday 5th to Friday 9th August 2013. 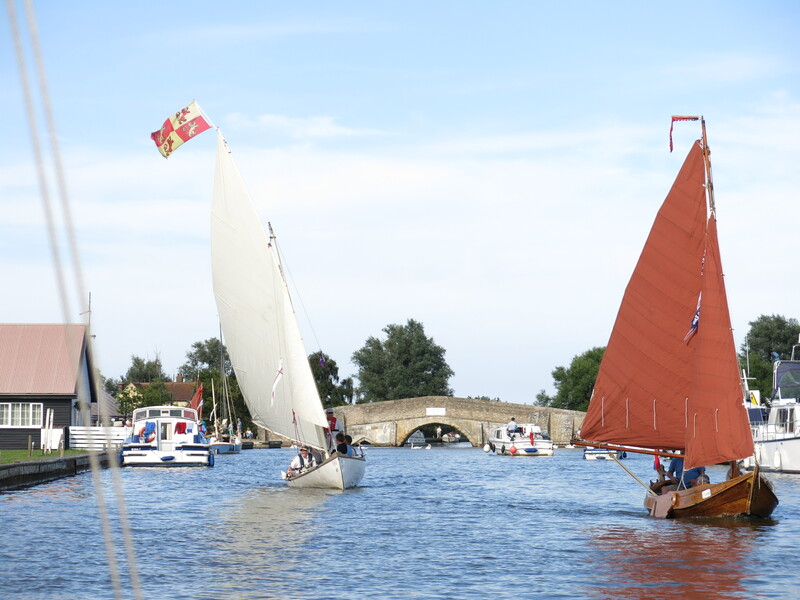 From Barton Turf via Hickling and Hunters Yard to Wroxham. Monday 5th. 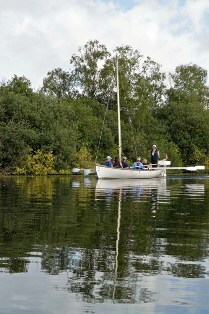 Launched at Barton Turf Staithe..
Tuesday - Rowed out along the narrow channels to the River Ant. 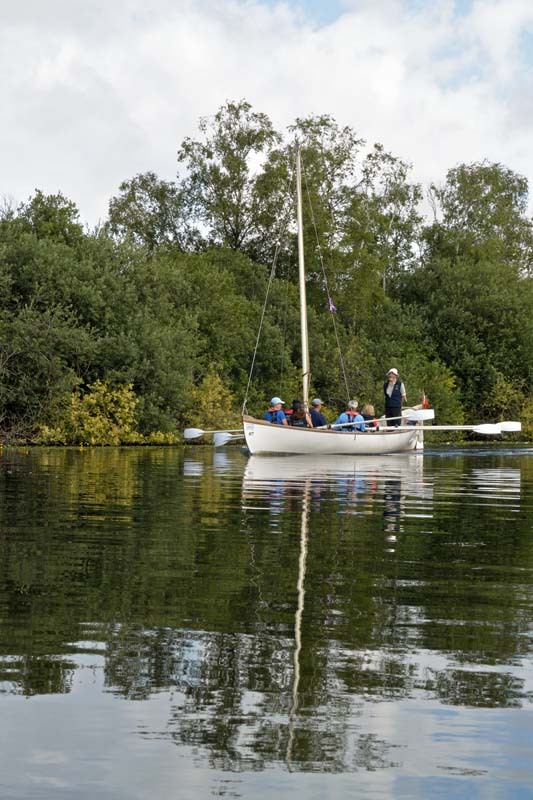 After reaching Barton Broad it was possible to hoist sail and stow the oars. 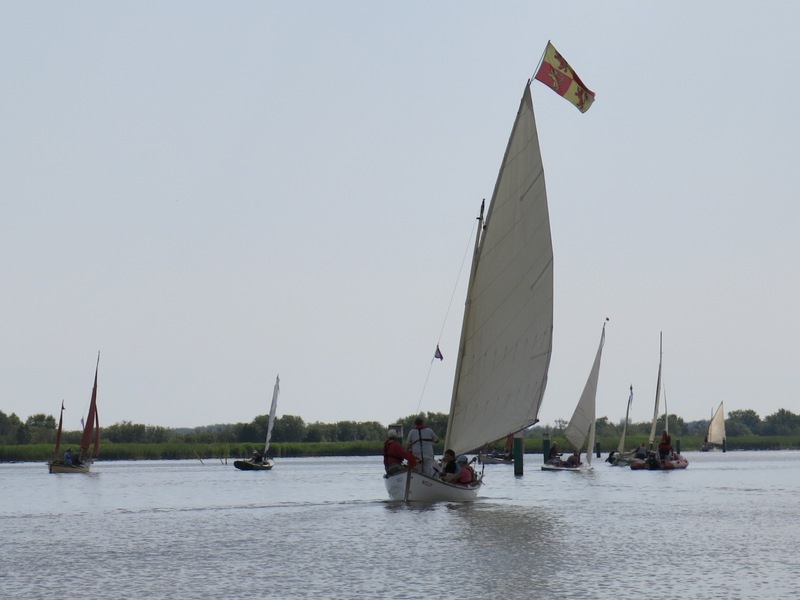 Tuesday continued with racing on Barton Broad, then a cruise down the Ant, through Ludham Bridge to the River Bure, then to Hunter's Yard for the night. 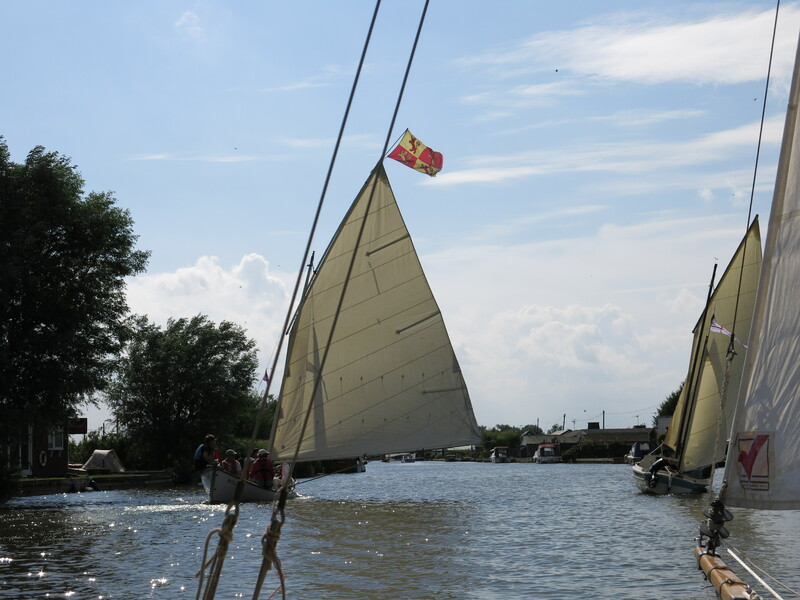 Wednesday - Up the Bure to Potter Heigham. (below). Under the infamous low bridge, to Hicklng Broad. (Click any picture to enlarge). 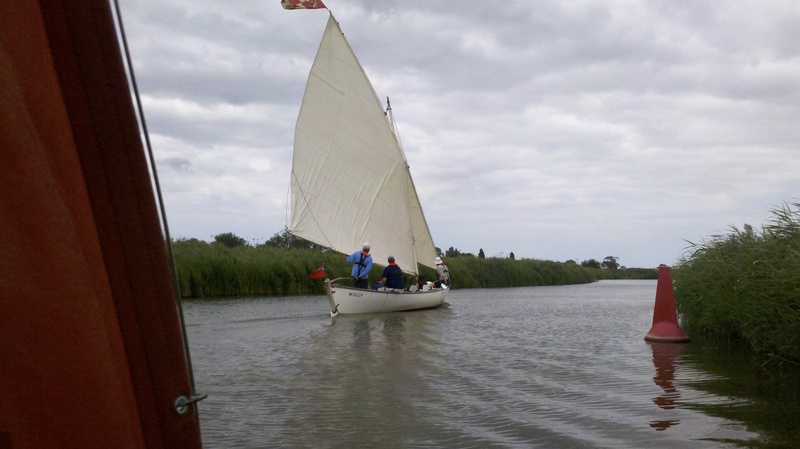 Thursday - Racing on Hickling Broad (below), then heading for Horsey..
(Left) Thursday lunchtime at Horsey wind-pump. (Right) Jib hauled way up... to "catch the wind" ("may as well try"). 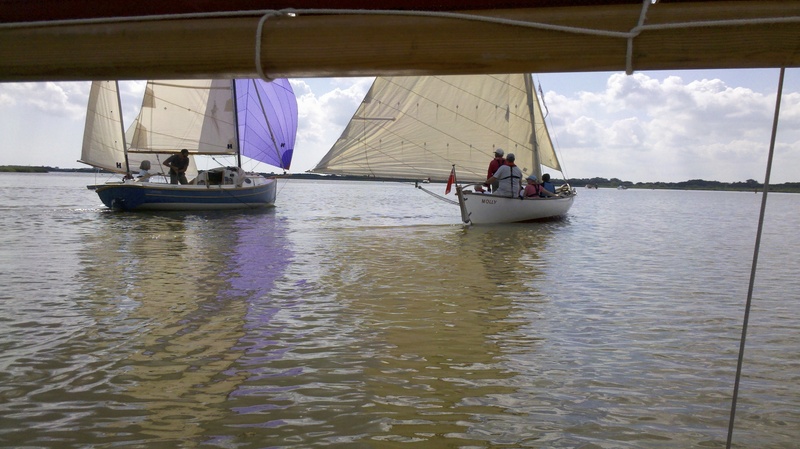 (Right) Potter Heigham. 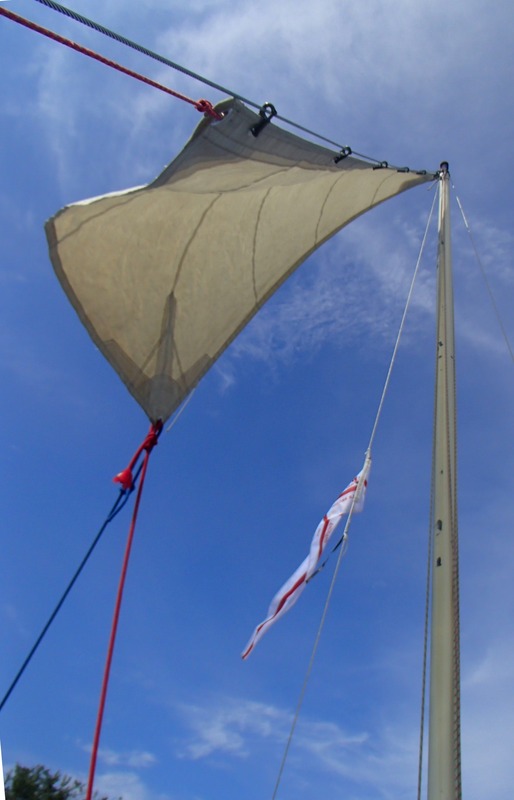 Raise the mast, and sail away. Friday. 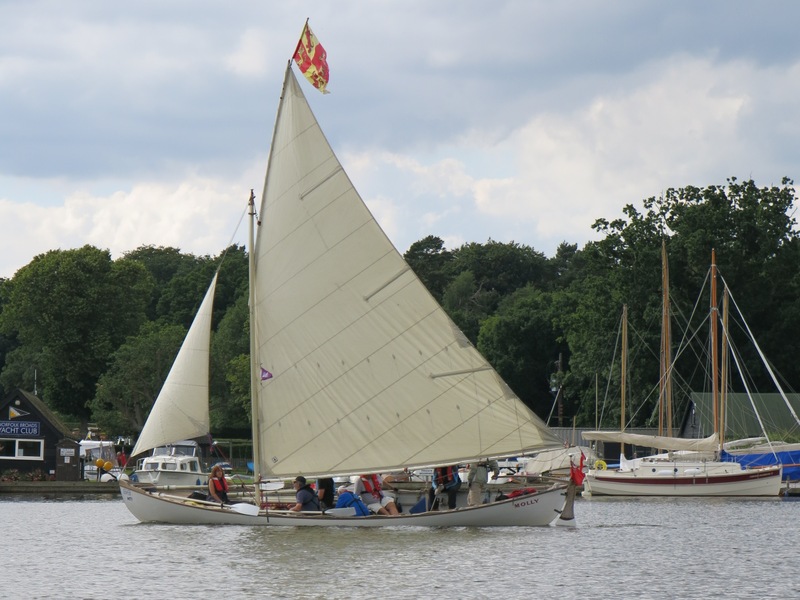 Hunter's Yard to Wroxham. Some pictures are courtesy of Topher and Jan Dawson and Stephen and Jenny Fairbrass . 2012, 2011, 2010 (password Molly) & here. English Raid Website - here.